The future of AI is here at the Open Data Science Conference (ODSC). As artificial intelligence begins to dominate technology and experience tremendous growth, so will the need for individuals with deep expertise in this field. Our mission is to provide data science practitioners and business professionals with the skills they need to stay in demand. ODSC brings together some of the brightest minds shaping the future of AI and data science at conferences around the world, including Boston, London, and San Francisco. Artificial intelligence and data science are poised to dominate the technology market over the next few years. Data scientists and AI experts are leveraging this technology to make autonomous machines, conversational AI, machine vision and many related technologies ubiquitous. Companies moving quickly to exploit the competitive advantages made possible by these technologies will undoubtedly dominate their industries. However, unlike some of the technologies of the past, much of AI and data science does not lend itself easily to turn-key solutions. Reasons for this abound, including the fact that much of success of these projects rely on factors other than software, such as the quality and quantity of data available to companies. 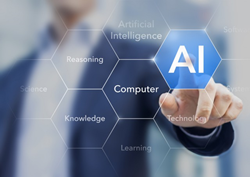 However, another key success factor continues to be the availability of talented technologists and business professionals with artificial intelligence expertise. The future of artificial intelligence is in the hands of individuals currently working across the globe to turn these technologies into reality. It is hard to know precisely what new industries and opportunities will result in these efforts. What is known, however, is that those currently working in the field will be major contributors to that effort. The Open Data Science Conference (ODSC), is quickly building a reputation for bringing together these contributors and future innovators in AI and data science. We relentlessly focus on delivering the best content to a highly educated audience. Recent successful conferences including ODSC Europe 2017 in London, ODSC West 2017 in San Francisco, and related Accelerate AI business conferences have given ODSC tremendous momentum as we head into the new year. In total, we have gathered 9,500 of some of the best and brightest in data science and AI across all our events. ODSC has changed quite a bit over the last few years and 2018 is shaping up to be their biggest year yet, as they relentlessly focus on bringing this global community together and delivering the best of data science and AI. ODSC East 2018 will now be four days and they are adding new focus areas including more emphasis on data science management and an entire conference around the business of AI. The conference will also continue to focuses on the latest techniques and technologies, from machine learning, deep learning and predictive analytics and platforms such as Spark, Tensorflow and scikit-learn. “Our attendees’ demands for advanced machine learning, artificial intelligence, and deep learning techniques motivates us to deliver the best data science and AI speakers and content,” said ODSC Founder Sheamus McGovern. ODSC’s variety of talks, workshops and training sessions will help ensure that attendees can keep pace with the tremendous growth in demand for new applications of data science and AI. To get a flavor of some of the tremendous content delivered at the Open Data Science Conference check out our AI learning Accelerator.